:: Brazzil magazine, July 2001. Dabliú Discos, José Carlos Costa Netto’s independent label, champions the less obvious in popular music. The letter W doesn’t exist in the Portuguese alphabet. It hasn’t always been so, but linguistic reforms expelled the letter, leaving only a reminder in song. Escreve sal com cê cedilha! Just as W has been cut off from the current language of Brazil, so has popular music that doesn’t fit the commercial cookie-cutter mold been relegated to the margins of the entertainment world. Enter Dabliú Discos, an independent São Paulo label whose mission is to give voice to the excluded, promoting a renovation of MPB with an emphasis on creative music and lyrics. Especially lyrics. 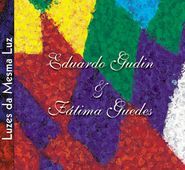 Three of the above—“Verde,” “Estrela do Norte,” and “Paulista”—are among the songs selected by Gudin for his latest CD, the stately Luzes da Mesma Luz (Dabliú DB 0102). The disc—which could have featured a crystalline voice such as that of Leila Pinheiro, Mônica Salmaso (who began her career in Gudin’s group Notícias dum Brasil), Luciana Alves (who replaced Mônica as soloist in Notícias dum Brasil), or the composer’s wife Vânia Bastos—surprises us with the intimate, emotion-filled delivery of singer/composer Fátima Guedes, who joins forces with a string and wind orchestra in arrangements by the composer (see Gudin’s comments about the songs). 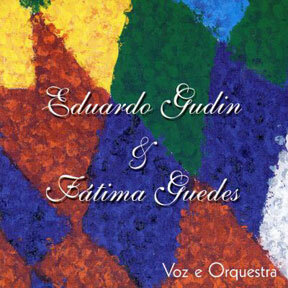 Gudin is one of a handful of well-known artists on Dabliú’s roster. For every Gudin, there’s a score of young musicians struggling to make their voices heard. 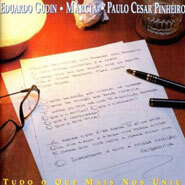 It is no coincidence that in addition to being a lyricist, the man who’s providing a showcase for their talents also happens to be one of Brazil’s leading copyright attorneys, who has authored a textbook on the subject and has represented the spectrum of top MPB artists, from Tom Jobim, Maria Bethânia, Roberto Carlos, and Milton Nascimento to rockers Titãs, Paralamas do Sucesso, and Legião Urbana. In this interview, I asked Costa Netto to elaborate on his activities as songwriter, lawyer, and cultural producer. Daniella Thompson—Please tell us about your family background and childhood. Costa Netto—I was born in the city of São Paulo to a family of lawyers (my parents are lawyers, and my paternal grandfather was President Dutra’s Minister of Justice in the 1940s). My surname, Costa Netto, is of Genovese origin, Genoa (Italy) being the city of my paternal great-grandfather. My other paternal great-grandparents are paulistas from the time of the founding of the city (called “400-year paulistas”), and my maternal grandparents are Portuguese. My childhood was spent in the Liberdade district, close to the center of São Paulo and several blocks from the courthouse where my parents practiced. It was a simple old house but with a large yard, fruit trees, dogs, rabbits, football, and gatherings of my street friends—always many. My beginnings as a “writer”: in 1961, at the age of seven, I participated in a writing competition among pupils of the first four grades in all the elementary schools of Brazil and reached first place (an absolute surprise for me), which generated a lot of comments in the newspapers of the time. DT—What kind of music did you hear in your childhood and youth? Costa Netto—The music I grew up to (from the age of six to sixteen) was basically popular Brazilian music of the ’60s and early ’70s—one of the most fertile periods in our popular music of quality: bossa nova, Jovem Guarda, the festivals of MPB, and all that effervescence). A lot of Dorival Caymmi, Tom Jobim, Vinicius de Moraes, Milton Nascimento (and his lyricist partners Fernando Brant, Marcio Borges and Ronaldo Bastos), Chico Buarque, Caetano Veloso, Elis Regina, Roberto Carlos and Erasmo (in their Jovem Guarda phase), Gil, Geraldo Vandré, Taiguara, MPB-4, Mutantes, Novos Baianos, Boca Livre, João Bosco & Aldir Blanc, and many others, as well as the historic references of Noel Rosa, Lamartine Babo, Orestes Barbosa, Lupicínio Rodrigues, and Ary Barroso. In the international arena, Burt Bacharach and Hal David, Elton John and Bernie Taupin, Carly Simon, Carole King, Bob Dylan, James Taylor, Steely Dan, Simon and Garfunkel, Italian and French music of the ’60s and, obviously, the eternal songs of Cole Porter and the Beatles—always with attention to the lyrics. DT—How did growing up in São Paulo mark you personally and artistically? Costa Netto—As a large metropolis in constant growth, São Paulo concentrates an enormous diversity of musical information from all the centers of Brazil and the world. This cultural melting pot affects the popular music created in São Paulo. Basically, it was this niche that attracted me most, in addition to the literary publications, cinema, theatre, and other such manifestations abundant in my city. DT—When did you begin to write songs? Do you also write poetry? Costa Netto—I began intuitively to change the lyrics of songs in which I liked the melody more than the lyrics (without any esthetic connotation, but simply adapting them to my personal anxieties at the time). Later, having learned to play the guitar at age 10 or 11, I began to write music and lyrics at age 12 or 13. After I had personal contact with the composers Otavio Toledo and (later) Paulinho Nogueira, I began to dedicate myself more to creating lyrics. I love to write lyrics and am an avid reader of poetry, but I haven’t dedicated myself except sporadically to creating poems with any literary pretensions. DT—How did you meet Paulinho Nogueira? Costa Netto—The great guitarist Paulinho Nogueira lived (and still lives) in the borough of Perdizes, where I sought him out when I was 19 or 20 (around 1974) in order to improve my guitar playing (he gave lessons at the time). Two or three years later, we composed “O Dia Seguinte” and later “Jornada Para Ser Ninguém.” Paulinho recorded these songs on his LP Asas do Moinho in 1978. These were my first recorded songs. DT—Where and when did you meet Eduardo Gudin, and how did you begin writing songs together? Costa Netto—I got to know Eduardo Gudin first as a listener, hearing his songs on the radio around 1973 or ’74 and attending his show with Paulo Cesar Pinheiro and Marcia, O Importante é que Nossa Emoção Sobreviva at the Teatro Oficina in São Paulo. In 1979, Paulinho Nogueira presented our song “O Dia Seguinte” at Teatro Tuca in São Paulo, and Gudin was in the audience with Geraldo Vandré. Backstage he told Paulinho that he liked the song and the lyrics. In 1981 I finally met Gudin, who was introduced to me by his then musical editor, Waldemar Marchetti (known as Corisco in musical circles). Since Gudin at that time was impresario of the composer Adoniran Barbosa, our first meeting took place in his office in the traditional Italian district of Bexiga. I left with a tune to put to words—“Te Rever”—recorded by Gudin and his group in the LP Ensaio do Dia, released in 1984. The album contained two more songs we’d written together—“Coração Aberto” and “Ensaio do Dia”—launching our partnership on disc. From then on we never stopped. Our partnership is now 20-years old, with more than 30 songs written. 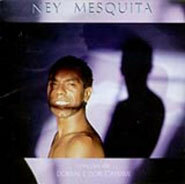 DT—“Verde” and “Paulista,” both written with Gudin, are masterpieces of MPB. How was “Verde” created? Costa Netto— “Verde” was inspired by the popular movement for reinstating direct elections for President of the Republic in 1984. Gudin and I went to the largest of the demonstrations at the Vale do Anhangabaú in the center of São Paulo and left with the idea for the song. At the beginning of 1985, we finalized the song in order to enter it in TV Globo’s Festival of Festivals. Sung by Leila Pinheiro (who won the festival’s Revelation award), “Verde” placed third in the competition. Since then it’s been adopted by various singers and radio stations and achieved some recognition, even internationally, as a sound portrait of an important and ever-renewed phase of hope for the mudança dos ventos [a change in the winds; see song lyrics] of our country. DT—Last year, Estado de S. Paulo’s music critic Mauro Dias named “Paulista” as his personal choice for the city of São Paulo’s anthem. He wrote, “To my heart, nobody sang São Paulo in such a beautiful and sensitive manner.” How did you write it? Costa Netto—I wrote “Paulista” in 1988 (Gudin already had the melody for some time). I felt the absence of a song that talked of São Paulo from the inside out, like a person who was born here and lives all the transformations of a great city. Paulista Avenue, one of the principal landmarks of the city, entered the scene as a result of an experience I had as an adolescent in the early ‘70s (I was studying English at UCBEU—União Cultural Brasil Estados Unidos, which was in one of the cross streets off Paulista). Next to the bus stop there was a very beautiful mansion built at the turn of the previous century, and while I waited for the bus, I imagined the various stories that could have taken place there, in the hundred years of its life. One day, however, I arrived at the bus stop to discover that the mansion had been demolished by the owner (rapidly, to avoid the consequences of a law then being passed for obligatory preservation of historic landmarks). I was so shocked at the sudden disappearance of the mansion that I preferred to imagine that it had only moved to another place (or another country) with more sensitivity to its cultural assets. Thus the principal verses of the song that I wrote years later: “Se a avenida exilou seus casarões, quem reconstruiria nossas ilusões...” and “Se os seus sonhos emigraram sem deixar nem pedra sobre pedra pra poder lembrar...” [see song lyrics]. DT—How do you normally work with your composer partners? Do you write lyrics to existing melodies? Costa Netto—Yes. I prefer to create the letters based on existing melodies. I have more difficulties with the inverse process. DT—Please tell us about your songwriting partnership with Vicente Barreto. How did you meet him, and when did you begin to collaborate? Costa Netto—I met Vicente Barreto at the beginning of the ’90s at a song festival in Ituverava (birthplace of Vitor Martins), where we were members of the jury. We continued to see each other in São Paulo, usually at the musical evenings at the Bar Vou Vivendo in Pinheiros, when we began our collaboration with the song “ Toada da Lua.” In ’93 we composed “Ano Bom,” which ended up being the title of one of the first CDs released by Dabliú at the end of ’94. 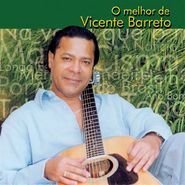 Since then, Dabliú produced and released two more original CDs by Vicente (Mão Direita and E a Turma Chegando pra Dançar), as well as this year’s compilation O Melhor de Vicente Barreto. 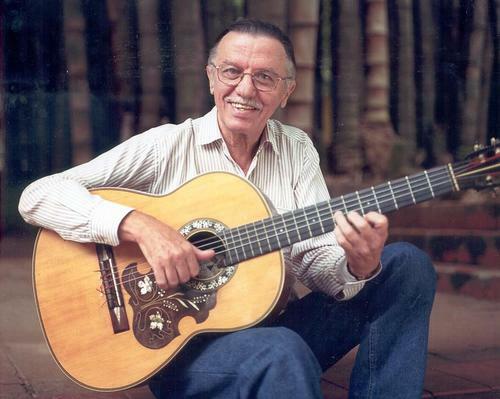 Vicente Barreto is today one of the major melodists (besides being a guitar innovator) in popular Brazilian music. Influenced by the richness of the nordestino rhythms and styles (Vicente lives in São Paulo but is a baiano), his melodies permit the creation of lyrics that have the same touch of Brazilian seasoning. We wrote seven songs together, and I can’t say which one I like most (in order of creation, they are: “Toada da Lua”; “Ano Bom”; “Mão Direita”; “Longa Estrada”; “Suinguiando o Coração”; Mundo Virtuoso”; and “Cisma”). DT—Is there such a thing as a paulista style of popular music? If so, how would you define it? Costa Netto—São Paulo has the advantage of being a large metropolis, with its contradictions and international influences and, at the same time, being a large center of consumption and creation of music from all Brazilian regions. Thus it ends up having its own innovative movements, like the so called vanguarda paulista led since the ’80s by Arrigo Barnabé, Itamar Assumpção (both from Paraná), Luiz Tatit, Ná Ozzetti, Vânia Bastos, Eliete Negreiros, and other highly original artists in the contemporary line of MPB. The historic line with the sambas of Adoniran Barbosa and Paulo Vanzolini; the MPB of Toquinho and Eduardo Gudin; the pop of Mutantes and Rita Lee; the inventiveness of Tom Zé and other great composers who lived or live here also show much of the paulistano style of music. DT—Why did you decide to establish Dabliú Discos? Costa Netto—I decided to create Dabliú in order to make my contribution to the field of quality MPB, which has great difficulty entering the mass media of commercial radio and TV and therefore sustaining itself economically. The Brazilian music that today accounts for 70% of the domestic record market and also for practically the entire pirate industry active in Brazil is composed basically of disposable entertainment consumed primarily by teenagers, as well as by adults susceptible to aggressive marketing, who often have no access to better cultural resources and end up hostages to the strong influence of the mass media. In the last decade, independent record production has grown in Brazil owing mainly to (a) the increasing disregard for artistic quality as a standard for new releases and especially for assessing new musicians on the market, and (b) the evolution of digital technology that has made excellent phonographic results possible, at far more accessible costs. Several Brazilian composers, performers, and producers of excellent music have moved away from the isolation of musical and poetic-musical creation to concentrate on recording. Undoubtedly, they also try to smuggle a minimum of cultural survival into this predominantly mercenary environment. With this kind of initiative, an independent music market is taking hold in Brazil. At present there are some four hundred small record companies, as against the five large multinationals (Universal, Sony, BMG, Warner, and EMI). The number of CDs produced independently is beginning to be representative in the Brazilian market—of the 100 million discs sold per year (Brazil is the seventh CD market in the world), about 20 million are produced independently, representing significant billings that can already be estimated at close to a $100 million a year, beyond the obvious underlying cultural benefits they provide. DT—The Dabliú story makes me think of another independent paulista label, the pioneering Discos Marcus Pereira, which was also owned by a professional (an advertising man). Did you know Marcus Pereira? Did his experience serve as an example of what to do and what not to do in a record label? 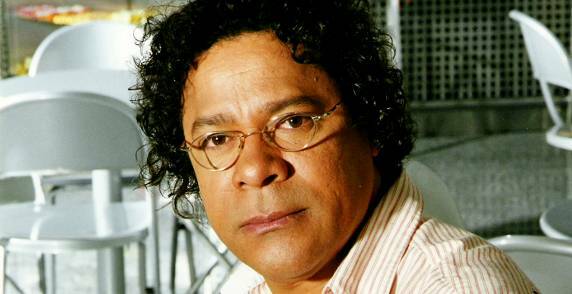 Costa Netto—I knew Marcus Pereira personally, although briefly—introduced by the show producer Léo Stingen. His early contributions (especially in the musical mapping of Brazil)—as well as that of the musician Antonio Adolfo, of the label Lira Paulistana (run by Wilson Souto Jr.), and of the vocal group Boca Livre—were fundamental in the initial phase of independent Brazilian production of high quality. The musician and producer Marcus Vinícius Mororó de Andrade, who used to be artistic director of Marcus Pereira, continues this concept today with the label CPC/UMES. DT—Lamartine Babo appears to have been a great influence on you, judging by the name you chose for your record label and by the disc De Lalá pra Cá which you conceived and produced. What has been the significance of Lalá’s work for you? Costa Netto—The authors of the song that includes the verse “a, e, i, o, u, dabliú, dabliú...” were the first Chico Buarque (Noel Rosa) and Caetano Veloso (Lamartine Babo) to exist in the evolutionary line of popular Brazilian music. Following these two pioneer songwriters, the line passes through Tom Jobim, Vinicius de Moraes, Chico, Caetano, Milton Nascimento, and so many others who raised MPB to an impressive cultural level. The object of Dabliú and of other independent labels that have sprung up in the 1990s is to follow this road, seeking to support this kind of music, not only in relation to high-quality artists and repertory that already exist but are marginalized by the market at large, but also (and this applies specifically to Dabliú) in opening the way for new artists who follow this line and who need an opportunity to show and develop their art. 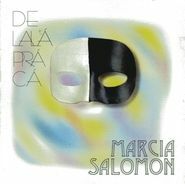 In this context, Lamartine Babo and the songwriters who were influenced by him combined with Marcia Salomon’s interpretative subtlety and sensitivity in the ever bubbling and stirring cauldron of my poetic and musical references to create the project of the CD De Lalá pra Cá. The result, I believe, was very interesting and unusual. DT—What are Dabliú’s five most successful discs? Costa Netto—Judging by what the music critics say, most of the CDs released by Dabliú can be considered successful. In terms of sales, the top five are Ná Ozzetti’s LoveLee Rita; Esquina Carioca with Beth Carvalho, João Nogueira, Monarco, Dona Ivone Lara, Nelson Sargento, Walter Alfaiate, and Moacyr Luz; Carmina Juarez’s Arrasta a Sandália; Tetê & Alzira Espíndola’s Anahí; and Jorge Mautner’s O Ser da Tempestade. Other top-selling Dabliú artists are Klébi, Kleber Albuquerque, Moacyr Luz, Vicente Barreto, Luiz Tatit, and Eduardo Gudin. Among the recent launches that are selling well are Kleber Albuquerque’s Pra Inveja dos Tristes; Luiz Tatit’s O Meio; Ione Papas’ Noel por Ione; Eduardo Gudin & Fátima Guedes’ Luzes da Mesma Luz; Lingua de Trapo’s Vinte e Um Anos de Estrada; and Alzira Espíndola’s Ninguém Pode Calar. DT—In addition to being a lyricist and record company owner, you’re an eminent copyright attorney. Has this legal specialty been useful in running the label? Costa Netto—My songwriting activity helps me in assuring that repertoires selected for CDs maintain a certain qualitative level in their poetic content. On the other hand, my legal specialty helps a lot in Dabliú’s contractual matters. In any activity, my efforts and professional principle have always been to defend authors’ rights. I believe this is one of the best ways to bring the results of cultural exploitation directly to the creators of the intellectual property (songwriter, interpreter, artistic producer, arranger, and musicians). DT—Have you ever found yourself on two opposite sides of a copyright dispute? Costa Netto—So far, Dabliú has not been presented with authors’ demands that it hasn’t been able to duly satisfy. DT—Would you tell us about some copyright cases you’ve won for your clients? Costa Netto—In my 23 years of copyright advocacy (interrupted only between 1979 and 1983, when I president of the National Council of Copyrights, organ of the then Ministry of Education and Culture), I’ve had the opportunity to represent great artists and authors in hundreds of cases, both contractual and litigious. Here are a few examples. The painter Mario Gruber had an unusual case. 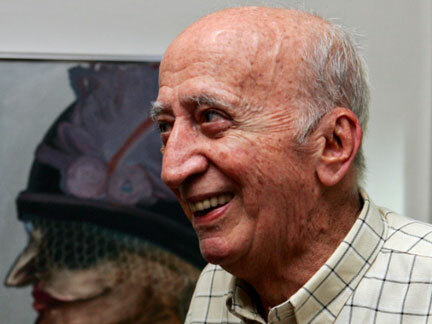 A famous São Paulo art gallery owned several of his paintings and put together an exhibition of his works as if it were a solo exhibit of the artist’s initiative. The gallery not having adopted criteria that would enhance the value of the exhibited work, the latter was, in fact, depreciated. There was no legal precedent to this case, which was decided in 1991 by the Superior Court in favor of the artist. The decision, which has since become a precedent, stated that although it’s not possible to prevent the owner of a work of art—especially a gallery—from exhibiting it, it also isn’t permissible to leave the creator of artistic or intellectual work without protection. Another interesting case involved the writer Millôr Fernandes. A well-known newspaper published prominently on its first page—as if it were real news—the solution to a fictional crime from a novela [soap opera] broadcast on a TV channel belonging to the same conglomerate that owned the newspaper. The following day, in his daily column in another newspaper, Millôr wrote an ironic critique beginning: “Yesterday, reading my favorite newspaper, […] I noticed on its first page the notice...” He followed by explaining that he’d been surprised to observe that the “news” was fictitious and questioned the credibility of the newspaper, wondering whether its famous owner might also be a fictitious character. The newspaper retaliated the next day by publishing a prominent ad with the headline “Do as Millôr Fernandes does, read our newspaper.” This was followed by the opening of Millôr’s article, giving the impression that the expression “favorite newspaper” was sincere rather than ironic, as the rest of the article (purposely left out of the ad) made clear. Sued by the author, the newspaper was made to indemnify Millôr Fernandes for adulterating his work. The cartoonist Paulo Caruso had an unusual suit, not only because of the nature of the case itself but also for the high value of the award. One of the largest advertising agencies in Brazil created a campaign for a major beer brand, using famous press features. The central concept was: “Despite the controversy raised in that publication, there’s one thing about which everyone agrees—[brand x] is the best beer in Brazil.” One of the items selected for the campaign was Avenida Brasil, a political strip cartoon by Paulo Caruso, published weekly on the last page of the magazine IstoÉ. The beer ad was placed on the magazine’s inside back cover, facing the page with Caruso’s strip. The ad agency refused to pay Caruso a royalty corresponding to the market value of that advertising space ($10,000), claiming that the use of his work had not been effective. The court disagreed and awarded the cartoonist $3 million. 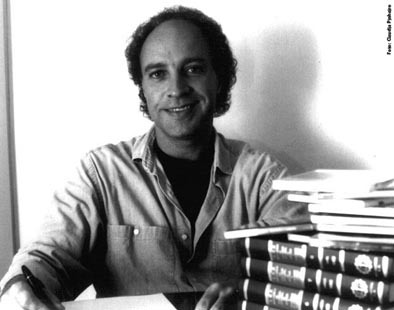 The singer/songwriter Walter Franco revolutionized the panorama of Brazilian music in the 1970s when he presented the song “Cabeça” [Head] in TV Globo’s International Song Festival. The song’s characteristics were not properly melodic, rhythmic, or harmonic, like the principal elements of any musical work. The lyrics were minimalist and repetitive (“Cabeça... Cabeça explode, irmão”). In the 1990s, an important foreign pharmaceutical company launched a radio campaign for a headache remedy, using elements that recalled “Cabeça.” In the suit that followed, the defendant alleged that “Cabeça” was neither a musical nor a literary-musical work and therefore had no legal protection. The court disagreed, unanimously recognizing the entitlement of Walter Franco’s work to legal protection and ordering the company to compensate the composer. DT—In its short life, Dabliú has already been distributed by Warner and Eldorado, and not always successfully. Now that Eldorado is going out of the distribution business, how is Dabliú going to market its discs? Costa Netto—With the goal of improving Dabliú’s distribution system, we’re seriously thinking of no longer farming out this function and taking on the challenge of direct distribution ourselves. We’re working on doing this within the Brazilian territory. Outside Brazil, we’re concentrating our attention on two objectives: increasing our relationships with exporters and looking for distribution partnerships with firms that operate in America, Europe, and Japan. De repente a visão da esperança! Mudança dos ventos no meu coração. Suddenly the vision of hope! A change of winds in my heart. * In the original, the final stanza offers several puns on the word verde (green). The entire disc is built around the arrangements. They are an integral part of the songs, not just background accompaniment. I find this to be a fundamental characteristic of the work, where the singer and the orchestra are equal partners. Here I was able to write arrangements that reveal my more assertive side, in an assertive way. All the melodies in Luzes da Mesma Luz were composed first, and the lyrics came later. “Abertura” [Opening] is instrumental; it’s a piece composed for orchestra, especially for this project. It’s an experiment in composing for orchestra—this was the first time I’ve done this. The basic motif develops according to the reading of the various instruments. I thought more of sonority, not of a melody that would have lyrics. It’s a different kind of adventure. “Estrela do Norte” is a samba made shortly after Leila Pinheiro sang “Verde” at the 1985 Festival of Festivals produced by TV Globo. Costa Netto had the idea of writing a song about how Leila emerged before the public in that festival. The lyrics are precisely about this relationship of the singer with her public. 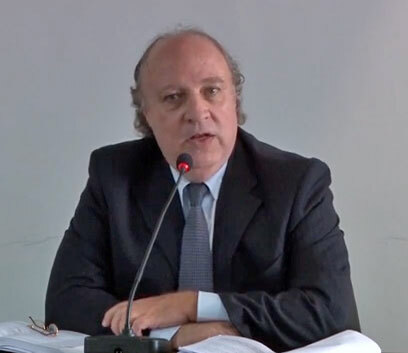 Costa Netto is a leading if not the leading copyright attorney in Brazil. Because of his talent to describe, to deal with words, he selected the legal profession. In reality, he is above all a poet and lyricist, a writer who divides his time with the law. He’s been a very important person in my career—someone who’s made things happen besides being a lyricist. Now he has the label Dabliú, where this disc is being launched. He’s always been concerned about me beyond our friendship. “Das Flores” is a samba for which I wrote both music and lyrics. The first part of the melody has fixed letters that repeat like a refrain, while the second part repeats three times, but with letters that vary, as if it were a response in a partido alto samba. However, it’s not a partido alto, because that kind of samba needs four repetitions. “Verde” is a samba that initially I was going to keep instrumental, but then Costa Netto suggested that we make a song for the 1985 TV Globo festival. I inserted a new second part in G minor between the first part [in G major] and the final part [that ends in B-flat major]. We talked about writing a samba in support of direct elections, because that was the era of the movement for direct elections in Brazil. However, it wasn’t meant to be restricted to this but to have other meanings as well, which several poetic devices accomplished [see song lyrics]. The song has an epic sound within the samba structure. In “Neo-Brasil,” both lyrics and music are mine. It’s a samba that speaks of the Brazilian, and the melody also has an epic feel in the style of Ary Barroso. It talks of the Brazilian living in these days of neo-liberalism. I find this total absence of the State very unfair to Brazilians, since commercial relations favor the developed countries. So this is the story of the Brazilian who’s in the midst of all this but who always manages to overcome through cheerfulness and who straddles the border between criticism and allegory. “Paulista” is a bolero for which Costa Netto wrote lyrics about Avenida Paulista, the pride of the paulistanos. It seems like a love affair with the old mansions. A few that were designated as landmarks still exist, but the majority were transformed into commercial buildings. It’s really a beautiful avenue. “Ângulos” is an experiment proposed by Arrigo Barnabé. We mixed twelve-tone and tonal music, switching from one to the other. Caetano Veloso’s lyrics also follow this quasi-Impressionist proposition. “Obrigado” is a love song, a slow samba. 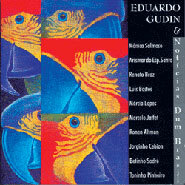 It was created for the disc Notícias dum Brasil, which was released by Velas in 1995 and reissued last year by Dabliú. Vitor Martins, president of Velas and Ivan Lins’ songwriting partner, suggested that I make a love song, and I wrote the lyrics to a melody that I’d already had for some time. “Mordaça” is a song from the time of repression, a song against the dictatorship in Brazil. It was created in 1974, When the repressive acts were still in force and censorship was very strong. Paulo Cesar Pinheiro and I created it, and from this song was extracted the phrase “O importante é que nossa emoção sobreviva” [the important is that our emotion survives], that became the title of a show and a series of discs. Paulo Cesar Pinheiro got a very early start. His first recorded song, “Viagem,” was a hit throughout Brazil, and he was only 14 when he wrote it. He was very attached to Vinicius de Moraes and a suburban carioca way of life, he read a lot of Guimarães Rosa, wrote poetry from a young age. 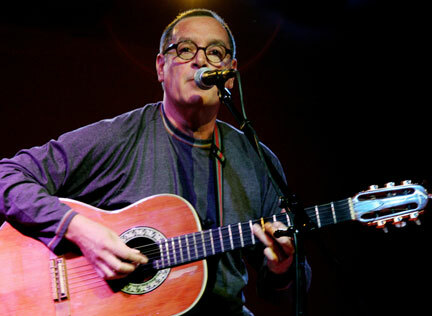 His song “Viagem” was made with João de Aquino, who was Baden Powell’s nephew. When Vinicius and Baden Powell drew a little apart, Paulo Cesar Pinheiro occupied Vinicius’ place and wrote with Baden Powell an enormous quantity of songs. He’s always been a professional lyricist—he makes a living from this, has a system and works every day, besides having published books. Very few people are professional in the same way. He’s a genius and continues to work with great satisfaction and irreverence. He has absolutely nothing to do with fashion. Genius and perseverance are his principal characteristics. The joy with which he works is as if he were just beginning to write today. “Canção Serena” is a typical 4x4 song—it has only one long part that keeps developing. The lyrics talk about the serenity that love brings with time. 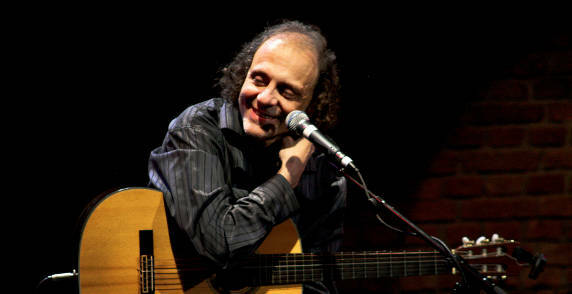 “Luzes da Mesma Luz” is another song whose melody was composed first, and Sergio Natureza was happy writing the lyrics in his special style—very delicate, but with great expressiveness. It’s in the line of Jobim’s songs. Unlike Paulo Cesar Pinheiro and Costa Netto, Sergio Natureza usually writes the lyrics first. Sergio is a naturalist, has a different philosophy of life, and is a marvelous poet. “Ainda Mais” is a samba I made with Paulinho da Viola. I wrote the melody and Paulinho created a little bridge to return from the middle part to the beginning and then added the words. This samba stayed with him for quite a while until he completed the lyrics, and it’s a partnership that makes me very proud, since Paulinho has always been my idol. It’s a samba that’s fun to sing—I always enjoy singing it. Paulinho da Viola requires no commentary, because he’s the best, the great samba composer. He’s the synthesis of a more intellectualized samba with traditional samba. “Apaixonada” is a song with lyrics by Aluízio Falcão. This samba spent ten years in the drawer. It was made for Gal Gosta, but she ended up not hearing it at the time, so we saved it. In the context of this disc, it’s very important for being on the border between authentic samba and bossa nova, which is another form of samba. 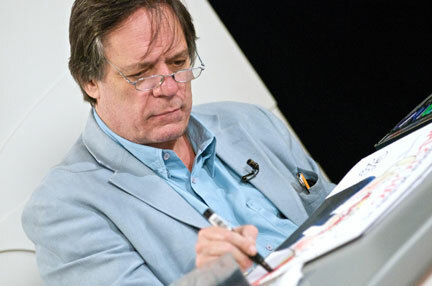 Aluízio Falcão is a journalist and cultural producer, for whom making music is almost a hobby. Sometimes he even uses a pseudonym. He’s one of those incredible people who are masters at everything they do. He’s produced excellent discs for Eldorado and has written a lovely book about the bars of São Paulo. These day he organizes the cultural events at the Universidade de São Paulo. “Velho Ateu” is the most root-based samba that I’ve made, and the most gratifying. It’s very much in the line of Nelson Cavaquinho, who was my compadre and godfather of my eldest daughter. The Nelsonian type of samba is always very rich, and I was influenced by him in making this samba, so I could only conclude the disc with this kind of orchestration. Roberto Riberti, who wrote the lyrics, is also a composer of melodies. We’ve always had great affinity in our partnerships. I believe that all the songs I made with Riberti are very well put together. He’d stopped songwriting for a while, but now he’s coming back to it. He is always the lyricist when I compose with Arrigo Barnabé, with the exception of the song in which Caetano Veloso participated. Like Costa Netto’s client list, the Dabliú catalog is highly diversified, including MPB, samba, art song, pop, rock, regional music, and various experimental hybrids. Below are some of my personal favorites, listed in alphabetical order. Every new disc by Vicente Barreto is good news. Consistently creating songs that are both musically interesting and fun to listen to, he’s been recorded by the likes of Alceu Valença and Elba Ramalho. Yet Barreto is also a wonderful performer in his own right. In this ‘best of’ compilation, we can enjoy Barreto’s danceable takes on afoxé, baião, xote, samba, and reggae in songs from his previous three albums, Ano Bom (1995), Mão Direita (1996), and E a Turma Chegando pra Dançar (1999), plus “Cisma” from last year’s Globo song festival. Daisy is a singer in the Joyce mold, but working in a slightly lower register. Her vocal abilities—both technical and expressive—are as good as they come in popular music. 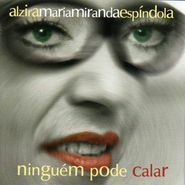 She shows them to excellent advantage in this CD, whose sixteen songs are mostly little-heard delights, including “Mandingueiro” by Moacyr Luz & Aldir Blanc; “Bossa do Bayard” by Dulce Quintal (a bluesy tongue-in-cheek portrait of an “artist” who’s his own poem); the lovely toada “Anel de Prata” by Sergio Santos; an unusual and lyrical rendition of Djavan’s “Flor-de-Lis” accompanied only by cellos; and the bolero “Nossos Caminhos” by Eduardo Gudin & J.C. Costa Netto. Maysa was the queen of fossa in the ’50s and ’60s. She wrote and sang songs of heartbreak and disillusion, lived hard, and died young. This 2000 tribute offers ten songs composed by Maysa (e.g., “Meu Mundo Caiu,” “Adeus,” “Ouça”) and two others she made famous (“Bom Dia Tristeza” by Adoniran Barbosa & Vinicius de Moraes and “Quem Quiser Encontrar o Amor” by Carlos Lyra & Geraldo Vandré). Alzira gets the atmosphere just right, ably assisted by Luiz Waack’s bluesy arrangements. 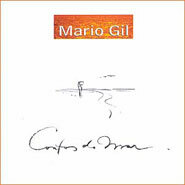 A beautiful album of sea-related songs, all composed by Mario Gil, with lyrics by Paulo Cesar Pinheiro. The arrangements are acoustic and the atmosphere lyrical, with guest artists to match: the fabulous Mônica Salmaso and Renato Braz. The gorgeous songs include “Anabela,” Lenda Praieira,” and “Samba de Roda na Beira do Mar.” Listen. Imagine you’ve died and gone to heaven and are sitting on a glowing cloud at sunset next to a benevolent Vinicius de Moraes. But this time there’s a wonderful ensemble of crack musicians and vocalists along for the ride, and they pour forth angelic samba and bossa nova without end, for this is the kind of music you’ll want to put on an eternal loop. 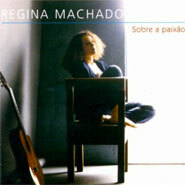 One of the most memorable albums of the ’90s, it’s where Mônica Salmaso and Renato Braz made their first marks. During the military dictatorship, Gudin and Pinheiro wrote the protest song “Mordaça,” whose lyrics provided the title for their legendary 1975 show with Marcia, O Importante É Que Nossa Emoção Sobreviva. Twenty years later, the three staged a revival show, again with a title taken from “Mordaça.” In the repertoire, Gudin and Pinheiro’s standards from the original show (e.g., “Santo Dia,” “Veneno,” “Recado ao Poeta,” “E Lá Se Vão os Anéis”); “Arrebentação,” composed in 1986; the medley “Roda de Samba”; plus “Verde” (Gudin/Costa Netto) and “Refém da Solidão” (P.C. Pinheiro/Baden Powell). A musician’s musician, Carmina Juarez possesses a beautiful clear voice with a wide interpretative range. She also chooses her repertoire very carefully. Accompanied by imaginative acoustic arrangements, she does equal justice to syncopated rhythms and lyrical songs, urban and country tunes. 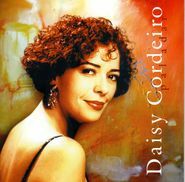 In this album she visits classics spanning several decades, including “Rugas” (Nelson Cavaquinho/Ary Monteiro), “Amigo Amado” (Alaíde Costa/Vinicius de Moraes), “O Maior Castigo Que Te Dou” (Noel Rosa), Nega Maluca (Ewaldo Ruy/Fernando Lobo), “Essa Mulher Tem Qualquer Coisa na Cabeça” (Wilson Batista/Armando Reis), “Que Nem Jiló” (Luiz Gonzaga/Humberto Teixeira), “Zanzibar” (Edu Lobo), and “O Pedido” (Elomar). 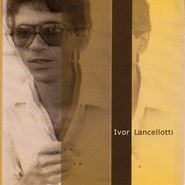 This is Lancellotti’s fourth solo disc, although he’s been composing for 30 years, with hits recorded by Clara Nunes, Roberto Carlos, Nana Caymmi, Alcione, and João Nogueira. The new CD is an album of profound emotions in the form of slow sambas, choros, and delicate songs. An excellent lyricist, Lancellotti is above all a great melodist who’s collaborated with the best lyricists of Brazil. Some of the co-authored songs here are “História Renovada” (with Sergio Natureza), “Amor Alheio” and “Casa Encantada” (Paulo Cesar Pinheiro), “Cilada” (Juca Novaes), “Quando Essa Paixão Me Dominar” and “O Sol por Testemunha” (Delcio Carvalho). Lancellotti conveys feelings exceedingly well in his fine, high voice. The superb musicians include the choro group Água de Moringa, guitarists Paulão 7 Cordas, Maurício Pacheco, and Marcelo Menezes, and percussionist Marcos Esguleba. This notable composer and guitarist is Aldir Blanc’s most constant songwriting partner. He sings the pair’s creations on this, his third disc (highlights: “Mandingueiro” and “Pra Que Pedir Perdão,” the latter with Aldir singing), as well as on the reissues Vitória da Ilusão (DB 0085; with “Paris: de Santos Dumont aos Travestis” and “Saudades da Guanabara”) and Moacyr Luz 1988 (DB 0053). It’s interesting to follow the composer’s evolution from disc to disc, as he becomes more and more of a sambista. This classically trained singer was Mônica Salmaso’s singing teacher, so it’s no surprise that in the tree one can discern the apple. 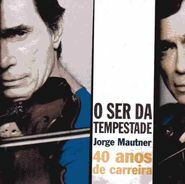 The repertoire of this brief and beautiful disc includes art songs by classical composers (two by Schumann & Heine, one by Guerra Peixe & Guilherme Neves), popular songs by Chico Buarque and Caetano Veloso, and the singer’s own accomplished compositions, tastefully accompanied by acoustic guitar, string quartet components, and percussion. Listen. This fine album was released before the recent spate of Caymmi tributes, and it’s a mystery why it never emerged from obscurity, given the imaginative choice of material, the singer’s beautiful voice and interpretations, and the excellent arrangements by Eduardo Gudin, who also produced and plays guitar on some tracks. The repertoire is divided almost equally between the father’s and the son’s compositions. Listen. The singer’s timbre and delivery fall somewhere between those of Simone and Nana Caymmi. 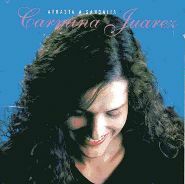 In this CD she is backed up by Eduardo Gudin’s sumptuous arrangements in songs like “Dia a Dia” (Celso Viáfora); “Vento Bom” (Eduardo Gudin/Paulo Cesar Pinheiro); “Estranho Sumiço” (Chico Maranhão); “Quem Já Esteve Só” (Ivor Lancellotti/P.C. 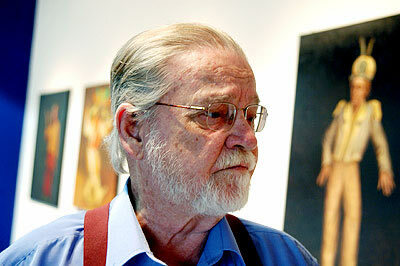 Pinheiro); and “Antigos Sinais” (Eduardo Gudin/J.C. Costa Netto). The Novo Canto series of shows presents new talents introduced by established musicians. 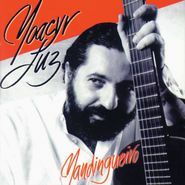 Released in 1997, this double CD features Bêlo Velloso, Orlando Morais, Renata Arruda, Jussara Silveira, Rita Ribeiro, Zeca Baleiro, Pedro Luís, Pedro Camargo Mariano, Dorina, Cris Braun, Marcelo Vianna, Simone Guimarães, Chris Nasser, Marcos Assumpção, Bernardo Lobo, and many others. 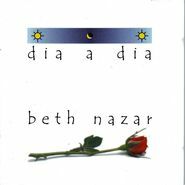 An exuberant tribute to Noel Rosa (who wrote the songs) and Aracy de Almeida (who first recorded them) by the Bahian singer and actress, who presents Noel’s work in contemporary settings. The repertoire isn’t run-of-the-mill Noel either. Instrumental standouts include Ubaldo Versolatti’s clarinet and some great percussion by Fred Prince and Chocolate. Guests: Simone Guimarães, Jussara Silveira, Quinteto em Branco e Preto, the feminine vocal trio A Três, and the group Choro, Seresta & Cia. This album moves right along in a continuous chug of energy. Listen. The essence of Brazil, without the noise. Here you can hear viola caipira, cavaquinho, typically Brazilian percussion like matchbox, pandeiro, and djembê, acoustic guitar, accordion (all played by crack musicians), and the clear, calm, assured voice of the singer offering songs that draw on Brazilian traditions. The repertoire includes “Anabela” (Mario Gil/P.C. Pinheiro); “Folia” (Lourenço Baeta/Xico Chaves); “Espelho Cristalino” (Alceu Valença); “Na Pancada do Ganzá” (Antonio Nóbrega); “Lua Branca” (Chiquinha Gonzaga); and “Riacho de Areia” (folklore). Listen. If you’ve never been to a roda de samba, this disc will deliver the authentic atmosphere minus the beer, appetizers, sweat, and smoke normally found in bars where samba is played. All the performers are stars, and they’re joined by the audience in singing their hits. Soloists: Dona Ivone Lara, Beth Carvalho, João Nogueira, Walter Alfaiate, Luiz Carlos da Vila, Moacyr Luz, and guest Nelson Sargento. Backup vocals: Dorina & Teresa Cristina. Musicians: Moacyr Luz, Carlinhos Sete Cordas, Pedro Amorim, Beto Cazes, Marcelo Moreira & Gordinho. Pure fun. A chain of witty love songs to Rio de Janeiro and its wonders, from Urca and Pão de Açucar—the city’s breasts in “Ares do Rio”—through the denizens of the night in “Rapa da Lapa” to Maracanã, the palace of many kings in “Pra Ver o Futebol” (all by Paulo Baiano & Marcos Sacramento). 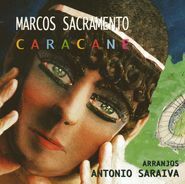 Sergio Natureza contributes poignant lyrics in “Caracane” and the “Caricas” cycle. Antonio Saraiva’s unusual arrangements take these creative samba hybrids in new directions. 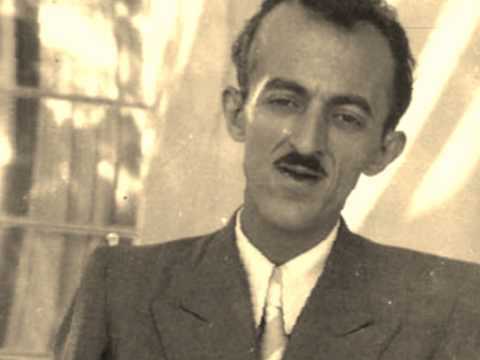 Lalá was Lamartine Babo, celebrated author of Carnaval marchinhas and a symbol of MPB in its golden age. 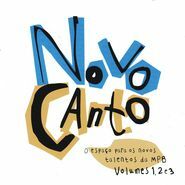 This concept album illuminates the evolution of MPB by pairing standards by Lalá and his co-generationists with compatible tunes by younger composers: João Bosco & Aldir Blanc, Caetano Veloso, Zé Ketti & Elton Medeiros, Rita Lee & Roberto Carvalho, and Roberto Menescal & Chico Buarque, among others. 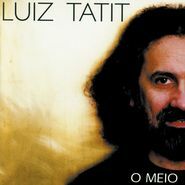 A musician, writer, professor, and veteran of the 1980s group Rumo, Tatit specializes in canto falado (spoken singing) à la Noel Rosa and Mário Reis. A member of the vanguarda paulista, he called upon fellow vanguardistas José Miguel Wisnik, Ná Ozzetti, and Ricardo Breim to participate in writing some of the songs in O Meio. The songs are literate, ironic, and often hilarious, with abundant verbal pyrotechnics. The musical arrangements are equally delightful. In the same vein is Tatit’s previous disc, Felicidade (DB 0027). He’s been called the Guinga of São Paulo, but perhaps he should be compared to Guinga & Aldir Blanc, for he writes brilliant lyrics as well as music. Like Vicente Barreto, Viáfora utilizes very Brazilian themes, so it’s natural that the two have been collaborating more and more. 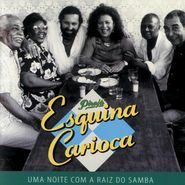 Standout tunes in this second disc are “Paixão Candeeira”; “Canção Brasileira”; “Quebra a Cara”; “Luz do Meu Samba”; “O Rio Virou Sertão”; and “Por um Fio” (the last two co-authored with Barreto). 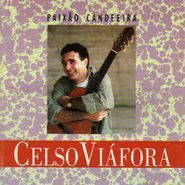 Also recommended is Viáfora’s first disc, Celso Viáfora (DB 0010). Copyright © 19992014 Daniella Thompson. All rights reserved.